Playing a Final Four game is a familiar feeling for the University of Chicago men’s soccer team, having qualified for the second year in a row. Last year, they were just a game away from competing in the championship game. After a hard-fought battle against North Park University that went 110 minutes, they were defeated in penalties by a 7–6 margin. On Friday, the Maroons have the opportunity to rectify that loss as they take on Calvin College. Calvin College has had an excellent season, amounting to 21 wins and one loss. As the season progressed, the Knights have gone on a 14-game winning streak and are looking to extend it. The Maroons (18–2–1) faced the Knights earlier in the season, handing them their only loss. 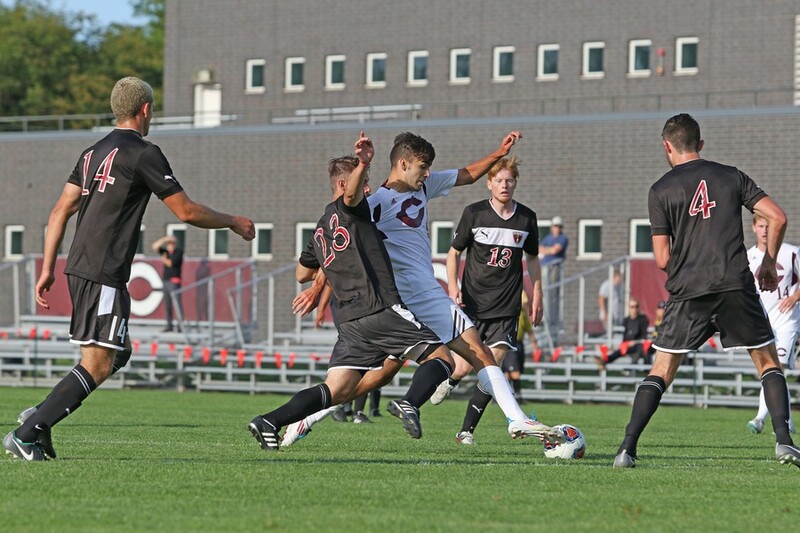 Although UChicago came out with the 1–0 victory, it was one of their toughest opponents. With fourth-year Matthew Koh providing the only goal, the defense had to buckle down in order to outlast the offensive plays of the Knights. The Maroons were outshot by a 19–9 margin. The Knights have outscored their opponents by a 91–11 margin. For the most part, they have not faced much opposition, with many of their victories being blowouts, including 13 games in which they prevented their opponents from scoring at all. They appear to have a sound attacking lineup, with four of their players having scored 10 or more goals this season. They are led by fourth-year Bobby McCaw, who has scored 20 goals and provided 12 assists. While the Maroons haven’t amassed as many goals (47) and don’t have a better record, they do carry the advantage. They have the experience of having previously played under the bright lights. Having felt the feeling of defeat last season, they will be motivated to come out on top this time. Not to mention the fact that they have already beaten Calvin. This shows that, while the task is daunting, it isn’t impossible. The Maroons are prepared to play as long as it takes. They have already played two overtime games—including their last one, which was against Luther College. When it comes time to deliver, fourth-year Max Lopez doesn’t shy away. He currently has 16 goals and six assists, but most importantly, his goal in overtime was what sent the Maroons to the NCAA Semifinals. The Maroons are able to rely on anyone in their squad to step up when necessary, and have made it a habit to score just as a match is about to end, so the Knights need to play hard all the time, or one mistake could cost them a shot at the title. A victory over Calvin College on Friday would take the Maroons to the NCAA Finals, which will be played in Greensboro, NC, on December 1 at 2:30 p.m.